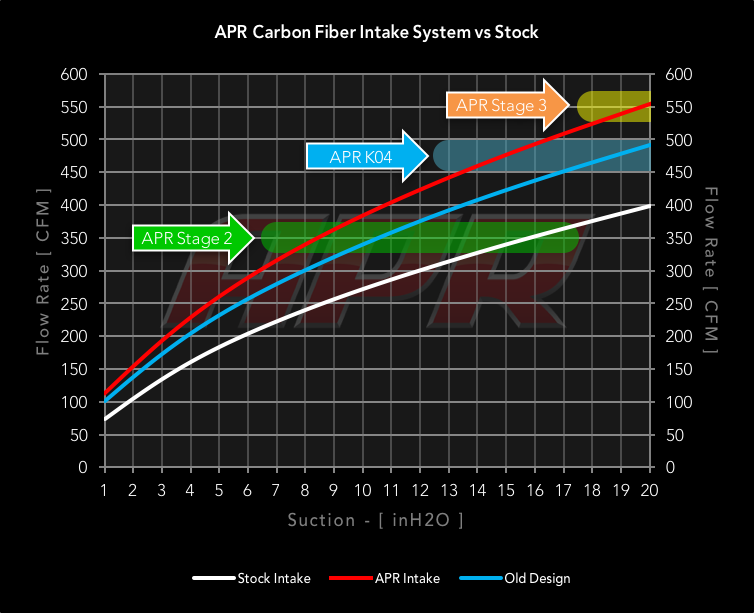 The APR Carbon Fiber Intake System lets your engine breathe! The stunning carbon fiber design rejects power-robbing heat from the engine bay and delivers an unrestrictive path for cold, dense air fed from outside of the engine bay. The system uses a high flow filter that provides excellent filtration without the restrictions, keeping the engine clean while optimizing power delivery. The system dramatically outflows the stock intake, sharpening throttle response and lessening strain on the turbocharger, all while supporting over 500 horsepower! The system installs in minutes, looks fantastic, delivers a sporty engine note, and is recommended at all stages of performance. As listed in the chart, the APR Intake system flowed dramatically more than the stock unit. This trend continues to climb as performance levels increase. 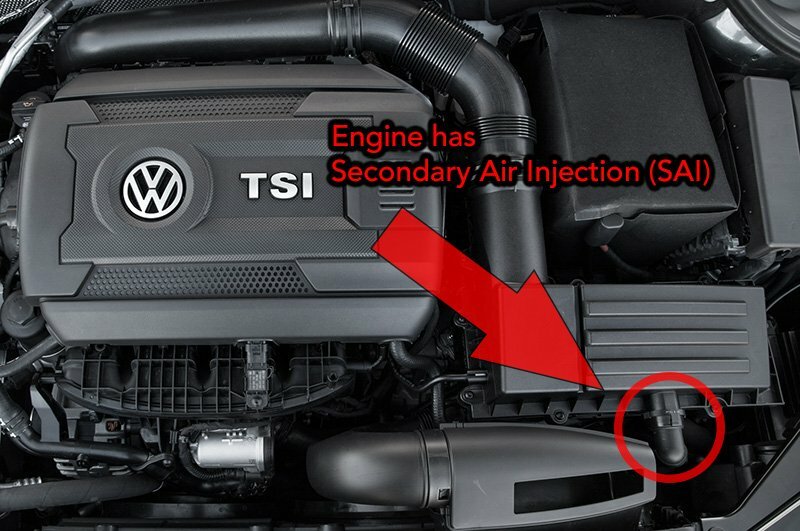 The APR Intake System is roughly 50% less restrictive compared to the factory intake at stage 2 power levels, and is off the charts at K04 and Stage 3 power levels. By allowing the engine to breathe, the intake system reduces stress placed on the turbocharger, lowers the intake air temperature, and allows for performance gains upwards of 15 HP with the stock turbo. As performance climbs further using larger turbochargers, so does the power gain seen with the APR Intake system! The front airbox and rear inlet pipe are designed as stand alone products. Some vehicles require an adapter or bracket to use the front airbox. Some are incompatible with the rear inlet pipe. Some require an SAI filter as indicated here. The guide below illustrates each compatible and/or required item for each applicable vehicle.